Lunar New Year Banquet and Silent Auction tickets on sale NOW! Join us at Acquabar in Belltown to celebrate the year of the snake! Please join AAJA Seattle on Feb. 9 in celebrating the Year of the Snake at our annual Lunar New Year Banquet and Silent Auction! 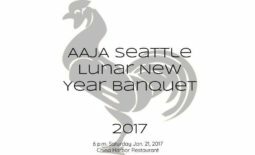 Each year, AAJA Seattle holds this banquet to celebrate the start of a new year. The banquet is also the chapter’s largest fundraiser. 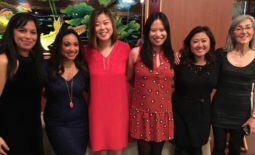 Proceeds from the silent auction, which will feature items donated by local businesses and the AAJA community, will go toward the Northwest Journalists of Color scholarship. This scholarship has supported more than 100 college students since the mid-1980s. Tickets are on sale now. AAJA members will receive a discount, so become a member or renew your membership today! Discounted pricing is also available for students (ID required) and children 12 and younger. If you wait to get your tickets at the door, the price goes up to $40 for adults and $25 for students, so get your tickets today! If you have not done so beforehand, you will also be able to join or renew your membership at the door. This year, the banquet will once again be held in Seattle at Acquabar Bistro and Lounge in Belltown, owned by local Asian American restaurateur David Leong. Dinner will be provided by Acquabar and tickets this year will also include one drink. In addition, there will be a full no-host bar. The dessert dash will be back, so get ready to make a run for your favorite sweet treats! Ava Van of Ava Van Photography will also be returning with her ever-popular photography booth (check out some pictures from last year). This year, a portion of the proceeds from the booth will go toward funding Ava’s trip to Vietnam later this year, where she will be volunteering full-time at an orphanage. The evening’s emcee will be Thanh Tan, a former TV reporter and current multimedia editorial writer for The Seattle Times. Northwest Vietnamese News managing editor and Forbes contributor Julie Pham will be our keynote speaker. We will end the evening with the return of karaoke, so don’t forget to warm up those vocal chords! This event is open to everyone and ALL AGES ARE WELCOME, so please encourage your family, friends and colleagues to attend. 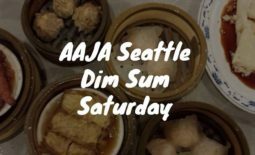 For updates, like AAJA Seattle on Facebook and follow us on Twitter.